Platino Properties’ $300 million new boutique mixed use development, Chatswood Place, is a neighbourhood within a neighbourhood. Incorporating an entirely new residential precinct with its own set of amenities, shops, dining precinct and community facilities such as childcare services, it’s an unmistakable cosmopolitan sanctuary. Located at 260 Victoria Avenue the development incorporates 223 apartments over 5 buildings, released in two stages. From spacious studios to four bedroom penthouses, Chatswood Place’s creators have crafted a landscape of contemporary homes that are set to redefine standards for luxury apartment living. On its launch weekend the development sold 106 of the 111 first stage apartments in just just three hours - a total of $160 million worth of real estate. Platino Properties' Developer Jonathan Leib said almost 65 per cent of the buyers were owner occupiers, with many being Chatswood locals wanting to upgrade. 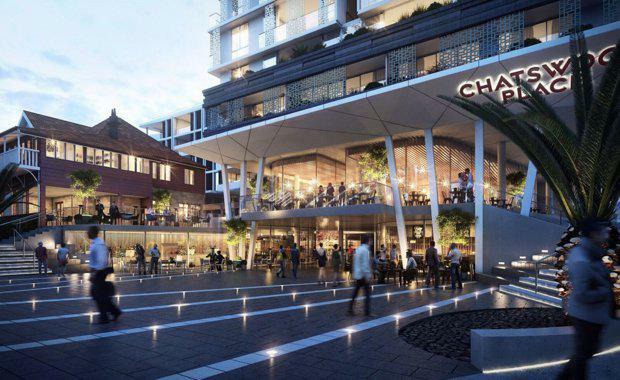 "The strong demand for Chatswood Place is indicative of home owners' increasing preference to live in apartments that are a stone's throw from the shops, cafes and restaurants they frequent. Chatswood Place's position on the edge of the Chatswood CBD was seen by purchasers as the perfect way to acquire the garden sanctuary they want with the vibrant lifestyle they are looking for. "The success behind Chatswood Place comes down to this mix of community amenities and luxury residences, with the developers looking to incorporate the residences with the wider Chatswood community. Mr Leib said, "The vision for Chatswood Place was to create a new neighbourhood spread of almost an entire hectare in the heart of the Chatswood CBD. From the outset, the designers sought to integrate residential accommodation with community facilities, retail shops and an alfresco dining precinct." This project comes at a time of vibrant change for Chatswood which includes the redevelopment of Chatswood train station and the opening of a new rail line to Epping. The culinary boom in the area also has Chatswood pinned as Sydney’s most dynamic and exciting food destination including new residents Din Tai Fung and Michelin-starred Hong Kong dumpling house Tim Ho Wan. "Chatswood Place provides a wide range of apartment styles that cover several segments of the market, but due to the very high levels of amenity in the complex, we anticipate particular interest from owner/occupiers who are keen to make Chatswood Place their home."